Tucked away on the charming and growing business district in East Walnut Hills is a new coffee shop that is only a few months old. 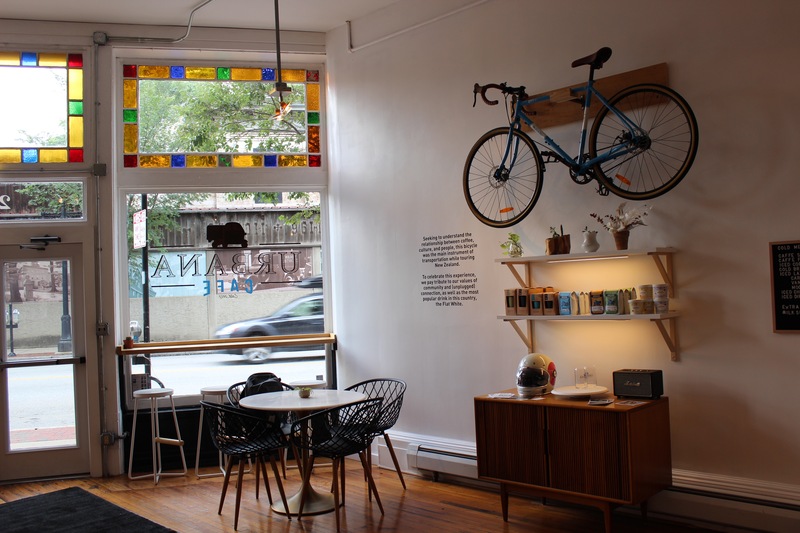 Urbana Café, the Pendleton coffeeshop that began by operating out of a Vespa at Findlay Market, opened it’s second brick and mortar location in East Walnut Hills this summer. When I asked if their decision to not have wifi in their new location has been met with negative feedback, Noguera said no, in general. He said there is one local woman who continues to check in and make sure they are still sticking to their decision, and they always confirm, but she continues to come back and is a regular patron of the café. Intentionality is a big part of Urbana Café’s brand. Noguera explained that they do not go into a community that is already well served. They want to bring something new to a neighborhood that will build relationships, and they don’t want to compete with other cafés. By not having wifi available they change their customer base, so patrons will come to Urbana based on the idea they have set forth, which is building community. Noguera is also intentional in “serving the best product we can with the best resources we can find, sourced as responsibly as we can.” They try to buy locally, make their pastries in-house, and try to build connections with those that they source from, always organic and fair trade, to continue to positive influence on the community here and elsewhere. The new location can be found at 2714 Woodburn Ave.